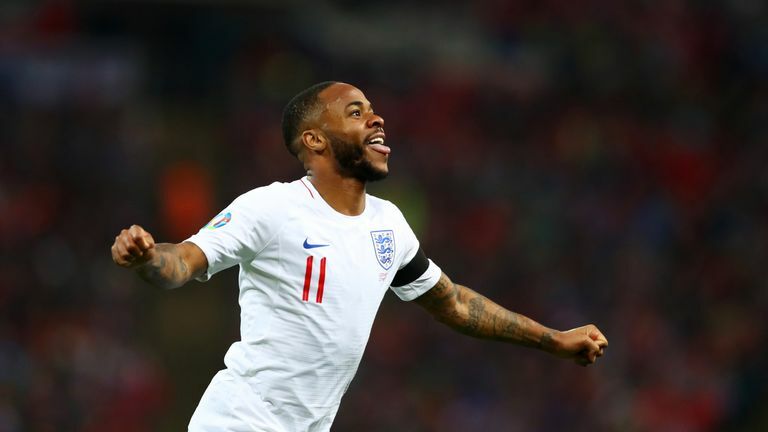 Raheem Sterling’s hat-trick in England's 5-0 win over Czech Republic made him the star of the show at Wembley on Friday. It was a performance that has been coming for a long time from a player who has turned himself into one of the world’s best, writes Adam Bate. Raheem Sterling is finally getting the credit that he deserves. After scoring twice in his 45 appearances for England, he has now netted five in his last three games. 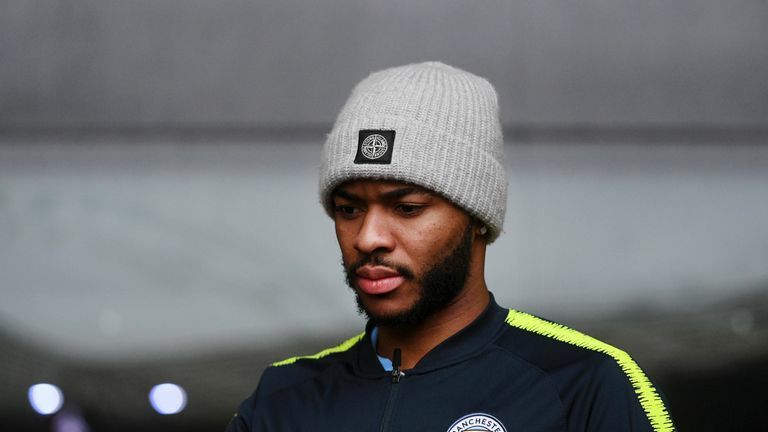 Supporters of the national team are now seeing what Manchester City supporters have known for some time - this 24-year-old forward has become one of the best players in the world. Even if Sterling does not score another goal this season, should Manchester City go on to retain the title, he and Sergio Aguero will become the first players since Cristiano Ronaldo to contribute at least 15 goals to consecutive Premier League-winning campaigns. The trio would be the only players this century to accomplish that feat. Highlights of England's opening European Qualifiers group A match against Czech Republic from Wembley. It would be some achievement but a particularly remarkable one given the criticism that he has been forced to endure. This is a player once derided by Paul Scholes for his ball-striking ability and abused even while England impressed at the World Cup. Too often the focus has been on what he cannot do instead of what he can. But how has he done it? It's time to talk about the genius of Raheem Sterling. Many point to his pace and dribbling ability. Others argue that City are so good that anyone could score in that team. But those traits and circumstances alone do not explain these output levels in front of goal. Sterling has a far superior minutes-per-goal record to Leroy Sane and Riyad Mahrez, for example. He is doing something that others are not. His is a triumph of movement and intelligence. Sterling has learned how to be in the right place at the right time, every time. It is a story of nature and nurture, a gift, no doubt, but a gift that has been honed by hours, and years, of hard work on the training ground. There is a clip of Pep Guardiola working with Sterling on those subtle movements that create space. It is just a taste of the time spent doing drills with Mikel Arteta, where, according to Guardiola, they have worked "specifically on the last action on the pitch - that control in the last moment to make the right movement in the final three or four metres." Nobody would deny that Guardiola's attention to detail has shaped Sterling's development, but there is a danger in being seduced by this idea of the coach as saviour. To overstate his influence is to be guilty of not giving Sterling enough agency. Brendan Rodgers once called him "really coachable" for a reason - this is one of the most intelligent players around. Even as a teenager, Sterling had played at wing-back and as a No 10. He has since been used at the tip of the diamond, as a wide forward, support striker, and as a false nine. He is able to pick up ideas quicker than most. "We have options with him because of his tactical intelligence," said Rodgers as long ago as March 2014. "He has got that in-built brain." Gareth Southgate singles out tenacity as the quality that stands out most in Sterling but Guardiola has a longer list. "He is sharp, fast, clever, fighting, ambitious and decisive," he said earlier this season. "He can play both sides and can play in the middle and receive the ball between the lines and commit the centre-back with a lot of aggression." What it has done is allow him to overcome that perceived awkwardness in front of goal through sheer hard work and determination. The statistics show that he has got better at it too, revealing the dramatic improvement in his shooting ability, measured against what the average player would be expected to do in the positions in which he finds himself. In his final season at Liverpool, Sterling scored seven Premier League goals, some way below the number of goals that he might have been expected to score from those chances. Under Manuel Pellegrini in his first season with Manchester City, it was a similar story. There was little difference in his first year under Guardiola either. But something has changed. Last season, Sterling scored 18 goals from opportunities that might have been expected to yield 16 goals. This season, the improvement is even clearer. His 15 goals have come from chances that merited 11 goals on average. Far from a poor finisher, statistically speaking, Sterling has become a good one. Better on paper than, say, Aguero. Asked what has changed, Guardiola said: "His head. The first season, he was scared. He was looking, who is the guy I am going to pass to?" 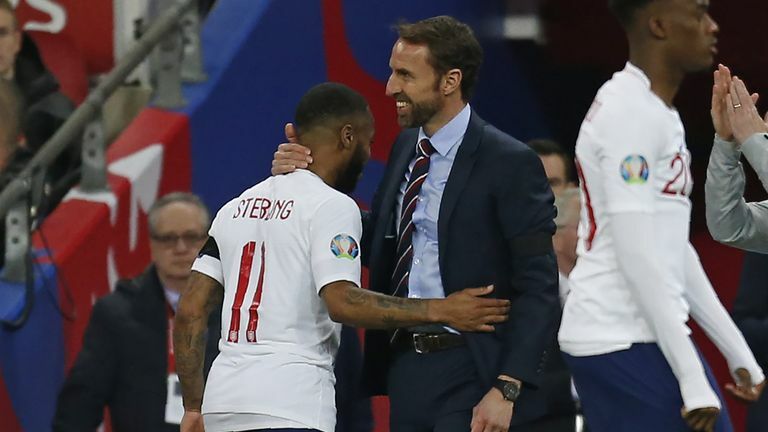 Now, as Southgate noted after his two goals against Spain in October, and reiterated on Friday, he has become more decisive. "He didn't have an extra touch or wait an extra half-second or millisecond," said the England coach. But this is not just a story about Sterling becoming a better finisher. Even if his finishing had not improved at all, then he would still be scoring more goals than he was before. This is because the ability to finish is nowhere near the biggest factor in a player's goal output. Scoring goals is about getting in the position to score goals. Want proof? By some margin, the two players to have failed to find the net with the most shots so far this season in Europe's major leagues are Cristiano Ronaldo and Lionel Messi. Shot volume is a much better indicator of goal volume than ball-striking ability. And very few players get into the position to take shots as often as Sterling. "I try to get in the box as much as I can," he explained recently. "That's mainly where I am now." As someone once said, 80 percent of success in life is showing up. Sterling does that. In the past two Premier League seasons, only Liverpool's Mohamed Salah has had more touches in the opposition box. Salah just happens to be the top scorer in that time too. Sterling has focused his energy on finding ways to get on the ball in more dangerous positions, closer to the opposition goal, and that has impacted on his shooting habits. The percentage of his shots from inside the box has gradually increased year on year. Even more significantly, the percentage of his shots from inside the six-yard box has increased dramatically too. 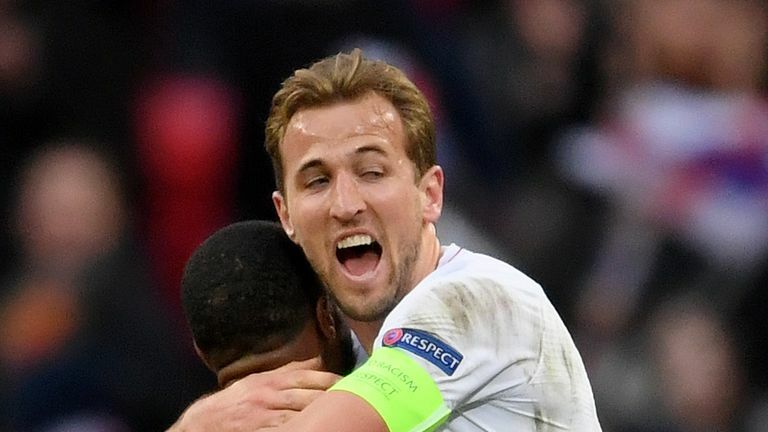 The opening goal at Wembley was just the latest example of how he has developed that rare ability to consistently ghost into space at the far post. Get on the end of those sort of chances and finishing ability isn't so important there. "When Raheem has no time to think in front of the goalkeeper, it is always a goal," said Guardiola. There is an irony there. Sterling is a player who thinks so much about his game but one who shoots best when he doesn't have the time to. Even so, it's the thought process involved in getting him there that is so impressive about the player that he has become. Genius? One definition of the word is someone with exceptional skill in one particular area of activity. Raheem Sterling's unusual ability to repeatedly pop up in the right place at the right time is surely a form of genius.